Marching on Hampden. Remember that day? 28th April 2012. It was the day the whole Rangers support came together to voice their anger at SFA sanctions. Around 10,000 made it on the day, with a much larger amount following developments online. It was the last time the whole support was unified under one voice. Nowadays, in an online environment at least, the support is fractured through different fan groups and different forums having disagreements regularly. It’s a sad state of affairs. It has been exacerbated by the very public boardroom struggle currently engulfing Rangers. Out of the blue however, a fans group has emerged with no ties or dubious agendas. The Sons of Struth appeared in the last two weeks or so with Twitter and Facebook representation. Most fans didn’t have a clue who they were or what their intentions were. I spoke exclusively to Craig from the group. He and one other individual are behind the creation of the group, which according to him has absolutely no affiliations to other Rangers groups or bodies. 1) Keep the stadium in the club’s name to avoid the Coventry City stadium situation. 2) To see clear accounts which prove a proper running of the club. 3) A board that keeps the club off the front pages and are above reproach. Sons of Struth were behind last Saturday’s protest at the 8-0 win over Stenhousemuir – handing out 40,000 leaflets and with the help of other fans arranged for several banners to be displayed on the 18th and 72nd minute of the game. Most of these had a clear message: “Sack the board”, “We want our Rangers back” or “Spivs out”. So why are they so intent on removing the current board of Rangers? “The common belief is that we want them removed purely on the grounds of a poor financial performance,” he said. “However there is more to it than that. Yes, the business acumen shown is dubious to say the least but even if they produced a better set of accounts the other actions of this board are disappointing. They hire a PR company who actually seem intent on damaging the name of the club rather than promoting it by releasing various "club statements" which later prove inaccurate and attacking fans. It’s clear that the board’s actions and words has stuck in the throat of the Sons of Struth, as they have to many Rangers supporters. Not all are behind the “sack the board” mantra though – some are still undecided and some are firmly in the view that the club needs to be left alone to get on with progressing through the leagues. “What do they propose then?” say many pro-board fans. Asked if they are behind the likes of Paul Murray and Frank Blin being appointed, he told me: “Obviously that is question that will hopefully be allowed to be answered by the AGM if the board relent on this ridiculous stance of trying to block any other nominees being allowed to stand. We need people with better business skills than we have just now and Frank Blin would, if he hadn’t been put off the whole process by the current board, have been an ideal candidate and I hope once the club is more stable he can return at a later date. The accounts released on Tuesday provided a vast amount of debate. The headline was a £14.4 million loss but as ever the devil is in the detail. Personally, the conduct of the board the past few months made the accounts somewhat of a red herring in terms of removing the board. The fact that the salaries and bonuses - amongst other things - were so high, actually increased the need to vote them out. Has it changed the SOS approach? “As a summary of business then there was no big surprises in the headline figures and there is still some holes in there that can only be plugged after a proper analysis of the day-to-day running of the club. The accounts have not changed the direction of our group but they have changed the view by some fans who wanted to wait for the accounts to come out, some have actually contacted me to say ‘sorry for going against you but I am with you now after seeing the accounts’. The board, and some fans, continue to use language like “derailing” and “destabilising” to describe Jim McColl, Paul Murray and co.’s attempt to enact a huge scale of change in the high corridors of Ibrox. These accusations and therefore simply lead on to fans who want the board removed, including Sons of Struth. “I can understand this and even a personal friend of mine had commented on our Facebook page that they dislike any protest about the club,” he said. Last Friday, as the club got wind of a fan protest against the board, they put out a statement from chief executive Craig Mather, who said: “The board is also aware that certain individuals are holding meetings and inciting fans to unruly behaviour. This has also been reported to the police.” A quite incredible statement to make from a Rangers CEO. It was obvious he was referencing the Sons of Struth. How did they feel at that harmful accusation? “How do you think I felt? He done it in a clever way by not naming us. Now there was no other fans meetings that I have been able to learn of in the last week so no prizes for guessing who he is speaking of and to claim we were inciting anything other than a peaceful and respectful protest is fantasyland. Mather didn’t stop there. In an interview given to the Scotsman, he stated: “I believe in freedom of speech and 100 per cent think the fans should have a voice. But people have emailed and spoken to me in the street saying they are not going to be bringing their families to the games because of the protests and the language.” To accuse the Sons of Struth and other concerned fans of driving families away from Ibrox because of passionate protestations is downright shameful. Sons of Struth’s Craig had even more to add to it. “Only two massive own goals in this two-sentence quote. First, if you believe 100 per cent in freedom of speech then why get lawyers and judges involved to remove comments online that you don’t agree with? Secondly he left on the first plane out of Glasgow to Dubai almost immediately after the game and I know this as he was on the same plane as two of our very loyal supporters who have supported SoS since our inception and were handing out leaflets again for us on Saturday. Strong words. But very hard to poke any holes in that viewpoint. Some will though. As mentioned earlier, there are some supporters who are refusing to back down from this board. It is causing many fractures in the gargantuan amount of fans the club has all over the world. Social media is a fantastic tool, but has it helped or hindered the campaign to spread the message of SOS? “It’s great for getting your message to a large audience quickly but the down side is the pettiness of some of the Rangers online community. There are real divisions which I was unaware of before my involvement in SoS. I have been an infrequent visitor to the online Rangers community before now and that was one aspect that saddened me throughout this process. We have actively tried to mend this. “If a by-product of our campaign is to make even a small dent in this problem then so be it. Another misconception made by the online community is that the whole fan base engage in forums and social media. This is far from the truth and the majority of fans are unaware of certain issues that appear online. I think we have reached a lot of fans, due to our three leaflet drops, who otherwise wouldn’t have been aware of our campaign. “[Bickering between fans] drives me insane and I have been quoted as saying give your head a shake on this matter. The current state of the club is more important than any petty issues one group or a forum has with another. If you truly believe one forum or another is pro or against any fans body then don’t sit in the comfort of your favoured forum, log in to the other forum and discuss with them your views in a proper manner. Rangers’ next game, a trip to Somerset Park against Ayr United, will provide an excellent platform for exposure for fan protests. The game is being broadcast by Sky Sports live with a large viewer reach. The Dunfermline match, due to be played next Saturday at 5.30pm live on BT Sports, was today postponed due to “international call-ups”, but one has to wonder if that request emanated from the boardroom to try and stave off another successful protest? Some might say that illustrates how much impact the message had. If the board is removed at the AGM or a new EGM, and Rangers then get a completely new and perhaps even (dare I say it) competent board - where do the Sons of Struth go from there? They say their three aims will still remain and they will continue to monitor any future boards going forward. The adoption of the surname of perhaps the most iconic and influential Rangers figure, Mr Bill Struth, has certainly caught the eye of many onlookers. Not only have the SOS took on his name, they are committed to following on his principles and decorum from his highly successful 34-year spell in his role as Rangers manager in the early 20th century. Whatever your views on the board at Rangers, surely any fans group that tries to unify the support and ask difficult questions of the people who run the club we all love are not the enemies here? 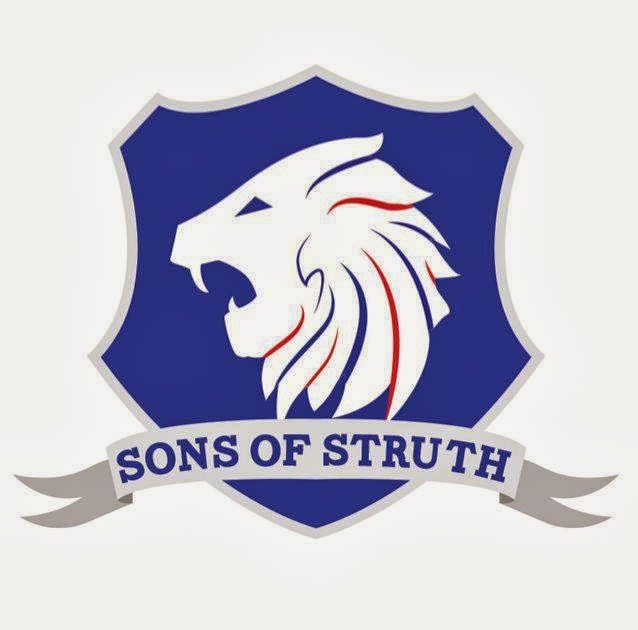 Sons of Struth will grow from strength to strength in the build-up to the AGM and who knows, they could well be around for a while after, ready to challenge anyone who does not take care of Rangers properly.